MyCaribbeanHotels.com is a leading provider of hotels and resorts accommodation in the Caribbean, offering a comprehensive list of Hotels and Resorts. MyCaribbeanHotels.com gives travelers one of the widest selections of accommodation on the internet, including both independent and major chain hotels and resorts as well as self-catering in over 1800 hotels and resorts in the Caribbean. The company offers you an absolutely free website to browse, No payment or hidden charges. From time to time we keep expanding and upgrading our website to enable you to have a smooth browsing experience. And we guarantee you it will only take 2 clicks of your mouse to find a hotel that suite your travelling plans. 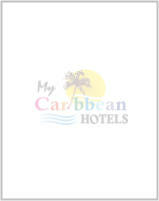 At MyCaribbeanHotels.com we make it easy to remember, it`s easy to use, it`s always a great experience! Enjoy your life and always make it easier!